How did terrorists get so tech-savvy? What is it about the Islamic State’s social media communication that managed to attract thousands of fighters from around the world? This edited volume by Maggioni and Magri is one of the earliest attempts to make sense of the seemingly sudden emergence of Islamic State (IS), a terrorist group that has stood out from the rest of the jihadi groups through its skilful use of social media. 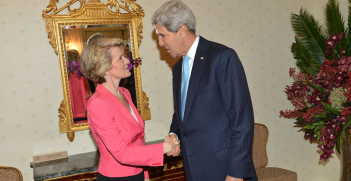 Communication has been an integral part of IS’s political and military strategies. It is as important to the group as their goals of occupying new territories to inspire potential recruits, intimidating enemies and ultimately institutionalising itself as a state. That is the main thesis of the book, which is explained clearly in three parts. Of course, terrorists’ use of new media is not a novelty. Part II puts IS’s affinity for social media and its outreach in context. Maggioni outlined the gradual development of the Al-Qaeda (AQ) and its affiliates’ media in the past decade—from the old monologue videos of jihadi clerics in the late 1990s to Zarqawi’s first beheading video in 2004 to the launching in 2006 of the Al-Fajr Media Center as the online distributor of AQ propaganda materials. The multi-platform and multi-lingual propaganda of IS that we see today is just the latest evolution. From Iraq to Somalia to Syria, the presence of foreign fighters, especially from the developed world, has been the main factor that has elevated the jihadis’ broadcasting capacity to the next level. It is these foreign media experts, argues Lambardi, who ensure that the extremist video production is never monotonous. IS’s beheading videos, for example, are not just blatant exhibition of violence, they also cleverly stir up the viewers’ emotions. Even stranger than the brutal killings (which perhaps has rendered violence banal to IS’s media consumers) was the exploitation of John Cantlie, a western journalist, as the group’s reporter to counter the narratives of the western media. So how does the propaganda affect the disenfranchised Muslim youth and the European community in general? One implication is ‘double radicalisation’: the radicalisation of IS sympathisers further fuelled by the western reaction to terrorism, i.e. an all-out war, that feeds into the IS’s prophecy of an impending great war between Muslims and ‘Rome’ (interpreted as Europeans and Americans) that would take place at the end of the world. In part III, Arnalbodi and Vidino add that IS’s reliance on decentralised social media propaganda has given rise to a ‘bottom to bottom’ pattern of radicalisation. 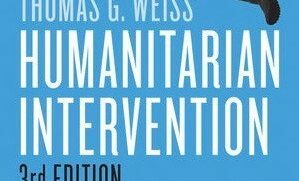 The book could have been enriched by a deeper analysis of the role of individual sympathisers in disseminating the narratives rather than just focusing on IS’s grand media strategy. Oftentimes, it is the horizontal interaction among IS fan-boys/girls and their personalised jihad narratives (stories and pictures of daily lives in the caliphate wonderland) shared on social media that exert more influence on individuals’ journey to extremism than the official propaganda on its own. Finally, Al-Qarawee’s concluding chapter reminds us that defeating IS military power will not eradicate its ideology. Indeed, the battle of ideas will continue even if IS collapses tomorrow. Monica Maggioni and Paolo Magri (ed. 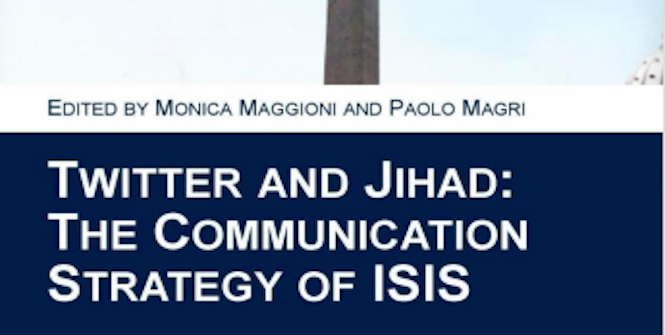 ), Twitter and Jihad: The Communication Strategy of ISIS, Italian Institute for International Political Studies, 2015. Nava Nuraniyah is an analyst at the Institute for Policy Analysis of Conflict (IPAC), Jakarta. Before joining IPAC in 2015, she worked as a researcher on terrorism and radicalisation in Indonesia at the Centre of Excellence for National Security at the S. Rajaratnam School of International Studies, Singapore and at AIIA National Office. 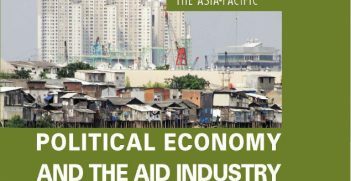 Island off the Coast of Asia – Instruments of Statecraft in Australian Foreign Policy written by Clinton Fernandes is a radical analysis of the genesis and development of Australia's foreign policy. It is an essential if depressing read for those wishing to understand the origins of our external policies.